Le Potager has been known for high quality natural products since 1994. 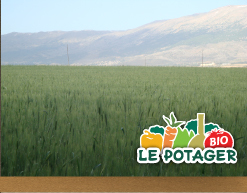 A family business established in Lebanon, Le Potager first focused on olive oil production and distribution. and syrups. We also grow and deliver (straight to your door) over 30 different types of 100% organic vegetables through Le Potager Bio. In 2009, we expanded further and started to add healthy international products to our delicious selection of natural local products. Le Potager is great taste and natural satisfaction. Enjoy the difference.